Height 5 feet 6 inches. Weight 10 stone 1 pound. Chest measurement 35-37 inches. Complexion fair. Eyes grey. Hair brown. Sight normal. Hearing good. Colour vision good. Limbs well formed. Full movement of joints. Chest well formed. heart normal. Lungs normals. Teeth good. Free from hernia, varicocele, varicose veins, haemorrhoids, inveterate or contagious skin disease. Vaccinated. Good bodily and mental health. No slight defects. Charles Edward STEVENSON was the son of James Orr and Elizabeth (nee KAE) STEVENSON, of York Street, Timaru. He was educated at Timaru Main School. 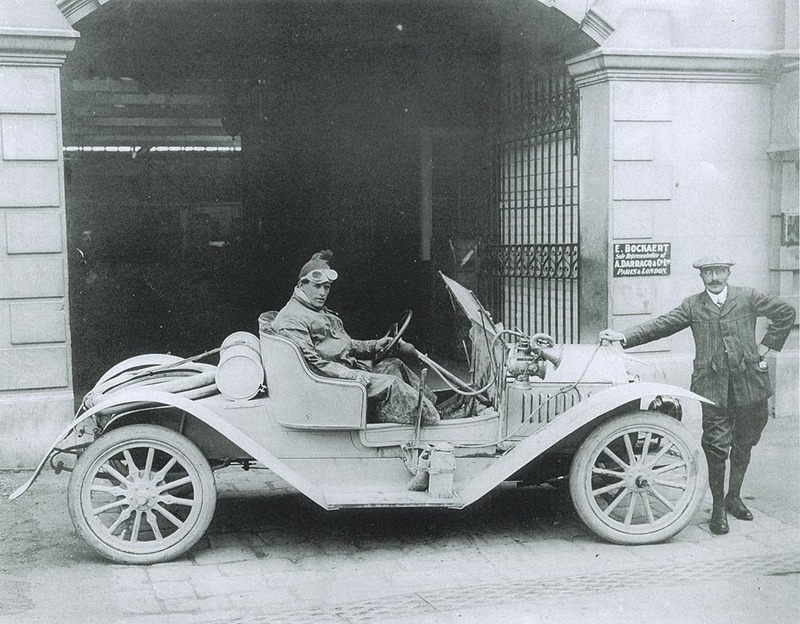 Stevenson established a world record for small cars by completing a non-stop run of 740 miles from Invercargill to Christchurch and back to Timaru in March 1911. 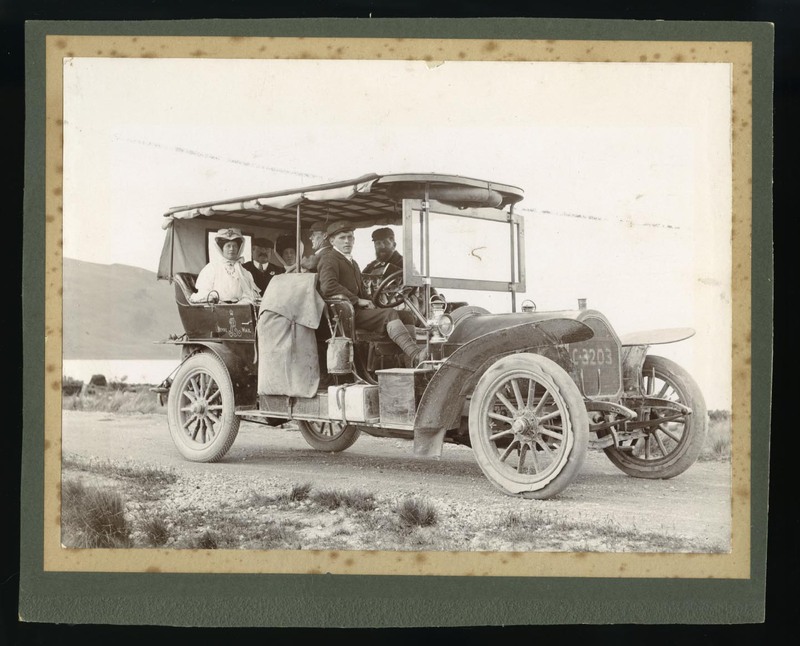 At the time of enlistment he was working in Fairlie as a motor driver for H. A. Le Cren. 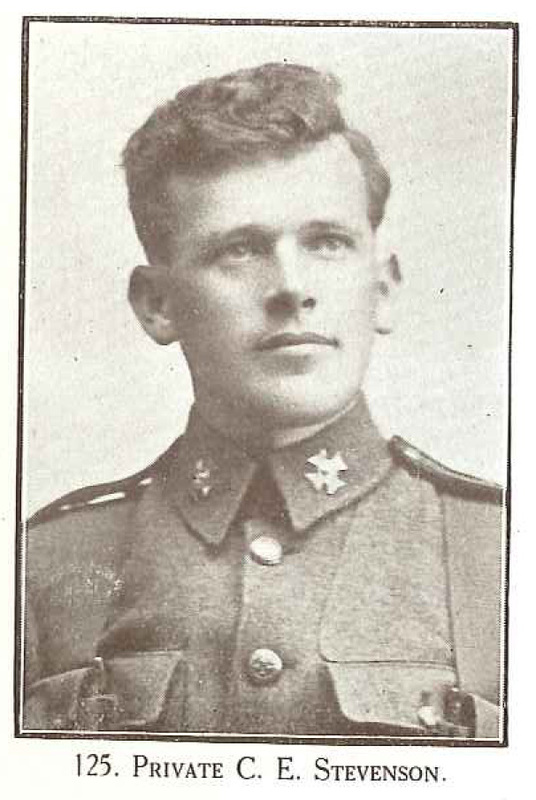 He enlisted on 13 August 1914, one of the first to answer the call, and joined the Canterbury Infantry Battalion. He was one of the additional men passed and sworn in on the night of 13 August. The next morning, 14 August, they were to fall in at the Drill Shed at 9.30 and leave Timaru at 1.30 for the camp at Addington. They were to be photographed prior to leaving. The Stipendiary Magistrate very kindly sent a big bundle of literature and some packs of playing cards for the use of the troops and another gentleman gave magazines, all of which were appreciated. Mr T. G. Towley, dentist, was also thanked for attending to the teeth of the men, free of charge, and doing all that was possible for all those whose teeth required attention. They actually left by the first express on 17 August after parading at the Drill Shed and being addressed by Archdeacon Jacob, who trusted God would guide and protect them, and the Deputy-Mayor (Mr W. A. Pearson), who said that all must "feel very proud to see that so many of the young men had volunteered to serve their country in this the greatest crisis they had ever known." and he wished them God speed and a safe and speedy return. Charles's father, James Orr STEVENSON (d.1907), had previously taken a prominent part in volunteering and was one of the original members of the Garrison Band. His brother Walter STEVENSON was killed in action in 1902 in the South African War. 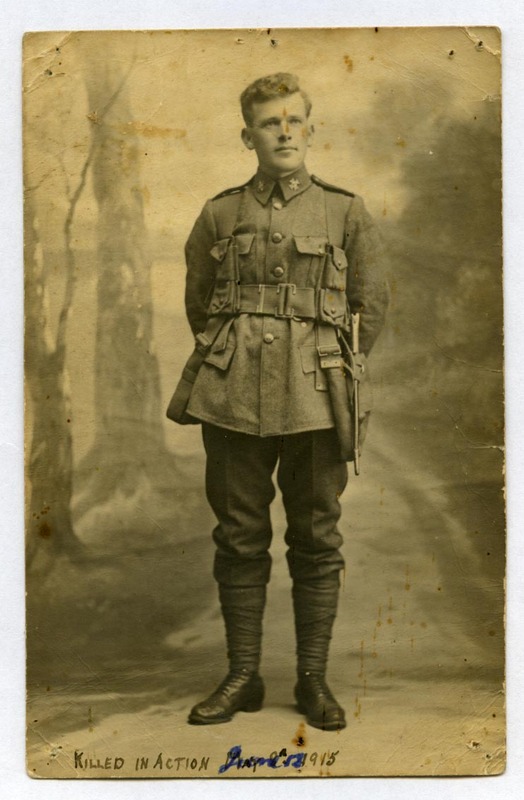 Pte B. S. Graham, of York Street, in a letter to his brother, noted that he was with Charlie Stevenson and Bill Wall when they were hit - "I can tell you that you have no idea what it is like here." 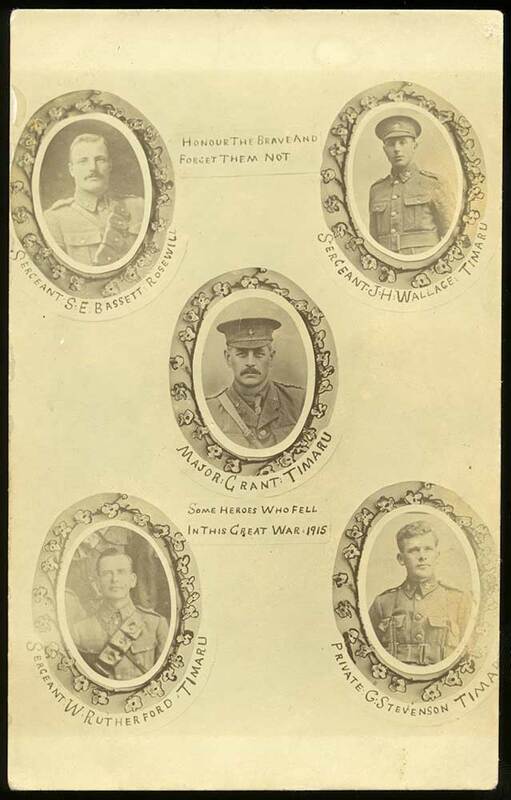 Charlie's medals were sent to his sister, Miss Elizabeth M, STEVENSON, while his plaque and scroll were sent to his brother James (living in Timaru). Charlie executed a Will prior to leaving Christchurch in August 1914; he appointed his sister Elizabeth Merion STEVENSON the sole executor and the sole beneficiary.